A blast furnace is nothing more than a large shaft where the iron ore and fuel is added through the top and the metal and the waste (slag) is tapped from the bottom. There is a second opening at its base where the water-powered bellows are located and which blow air into the hearth to keep the fire burning. Iron ore is rather common in Ireland, but comes in different varieties, which would have forced the ironmaster to adapt his way of smelting to the ore available. High-grade ore, such as the haematites of the Tuamgraney area, would have needed added limestone in their smelting. 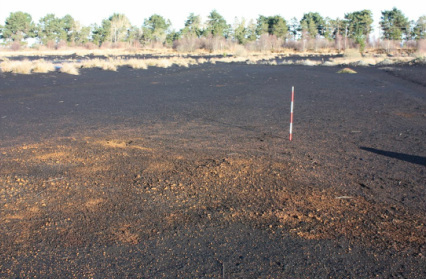 Easier to smelt bog ores occur between Mountshannon and Woodford. A blast furnace is typically tapped every 24 hours, after which about a ton of liquid iron has collected in the bottom of the furnace. 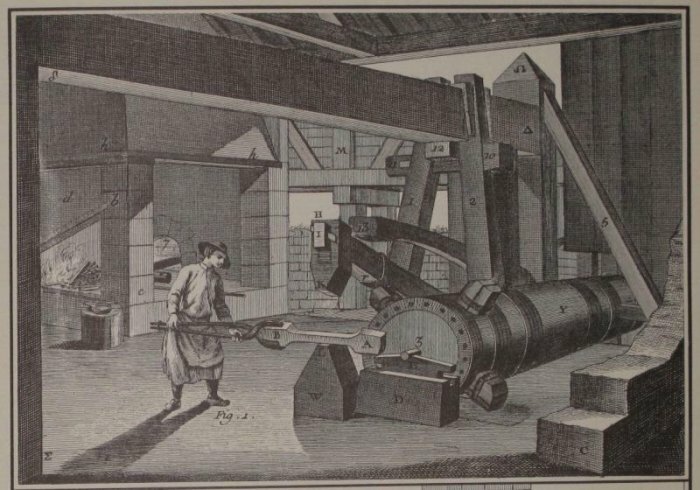 In the 17th and early 18th century, the iron would have either been collected in a mould which had the shape of an object, producing cast iron pans, cannon, pots, etc., or poured into one large block known as a 'pig'. This pig iron was destined for another ironworks, the finery, where this brittle cast iron was transformed into forgable wrought iron.